The festival site is located across Eltham town centre. Eltham is located approximately 20 km north-east of Melbourne’s Central Business District. Train: There is a railway station opposite the festival site which the Hurstbridge line runs through. Bus: Bus routes 580, 582, 513, 579, 578/579 and 958 stop next to the festival site. Visit PTV to plan your route on public transport. 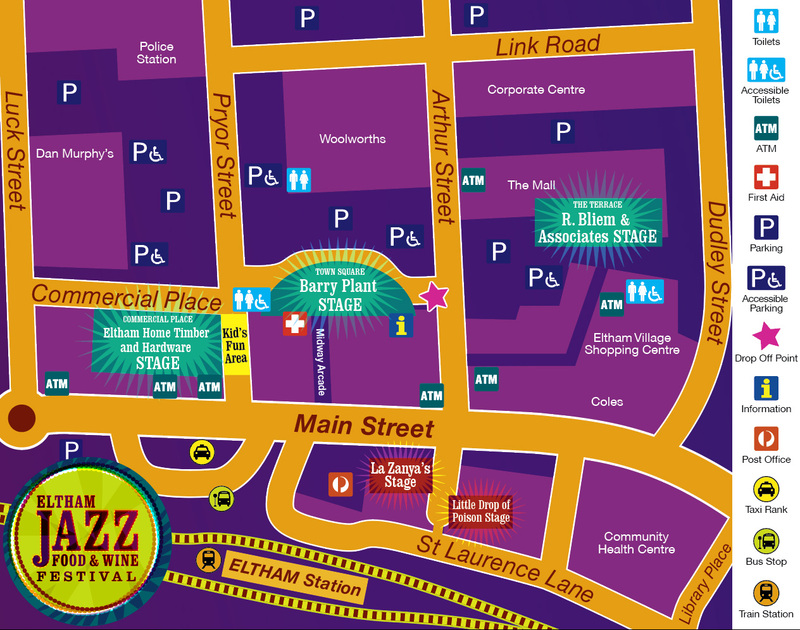 There are two car parks in the town centre next to the festival site. See the site map for details. Please note that street parking may be limited during the festival. Commercial Place is closed and there is a part closure of Pryor Street (between Main Road & Commercial Place). Please click here for the Accessibility Guide.